Himynameisjules7 had the most liked content! I guess this is the best place to start, Hi my name is Julian, I’m a huge Final Fantasy fan and I dig Dissidia. I played the first Dissidia on a psp (I got strictly to play this game mind you) and was hooked. With VIII being my favorite FF, it was amazing seeing Squall (my favorite FF character) clashing with classic characters in their series. 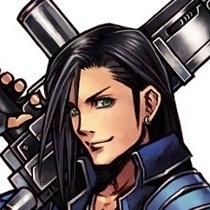 I enjoyed playing as Titus and Cloud as well, leveling each character up gleefully wasting my life on the game. I sadly never played the second one, though I craved to play it. My psp’s battery gave out and I was not looking into replacing it, so I never got the experience My other favorite character Laguna (Watched his gameplay on YouTube, I thought he looked fun; but I’m biased) I’m back with the series with NT, which I’m having a general good time with overall, though I do wish there was a single player akin to the firsts, but I understand the whole balancing thing for NT’s purposes so I’ll let it slide this time. (Though I wouldn’t mind a sequel for like the original on PS4). 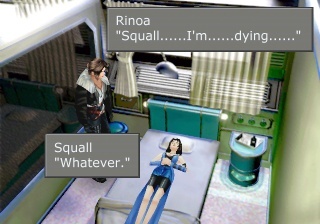 Squall is still my guy, though he took some getting use to (still trying to master his combos) though Cloud and Titus are still my back ups, with Noctis being a fun character to mess around with. DLC wise, I hope Laguna comes backs, I’d gladly pay for him. Me never to getting to play his gameplay is the perfect chance to try him out if they add him (seems unlikely because I’ve heard he wasn’t well received by the community? I’m not sure to be honest). 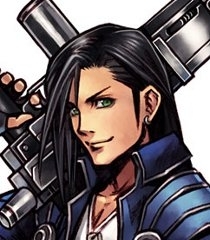 Seifer would be great too, or Auron, but that’s a topic for a later discussion. But anyway, that’s my Dissidia story. I look forward to continuing this story with NT. thanks for reading, Julian B.